Each year, Into the Wild offers a variety of spring break trips. Our trips are a great opportunity to make new friends, explore new vistas, and to enjoy great food under the stars in some of natures most epic locations. This is the information for our past Spring Break 2019 trips!!! Heyooooo fellow shredders!! Join Claire Capeloto and Claire French on a four day, three-night guided yurt backcountry ski/snowboard trip in the Sawtooth Mountain Range in glorious Idaho. We will embark on a six-day trip from March 23 until March 29. We will have two guides (from Sawtooth Mountain Guides) take us through five frozen lakes to the Bench Lakes Hut, where we will do laps of pristine alpine bowls, chutes, and faces. We will end each day of shredding at the hut to enjoy a warm meal and hot wood fired sauna. We will arrange for rental equipment and provide food, transportation, and good times. This will be a strenuous trip and therefore classified as intermediate. Although we do not require backcountry experience, we do require expert skiing/snowboarding ability and excellent fitness. GET SHREDDY! The price is $799 for non-drivers and $500 for drivers! ($600 off the normal price for a 3 night-guided ski trip!! Normally $1,400). Rentals will about be an additional $150. Calling all desert and dessert enthusiasts, adventure seekers, and backpacking addicts! Join your favorite and best Into the Wild leaders Brewster Knapp and Nicola Gerbino for an ~epic~ desert backpacking week. We will depart the morning of March 23rd and return on the following Friday, March 29th. This trip will take place in Grand Staircase-Escalante National Monument. We will have a stop or two on the way out to Escalante (think Joshua Tree and Mojave), but our main activity will be a four day / three night backpacking trip in the Egypt-Twentyfive Mile Wash. This will be a tough backpacking trip and therefore classified as intermediate. The total distance will be around 20 miles, however there will be difficult terrain such as sand and standing water. Due to the time of the year we will be going we are expecting the days to be relatively warm, however the nights will get cold. Non-driver tickets are $333 and driver tickets are $133. A trip such as this ran by other groups like REI adventures would be upwards of $2,500 so this is a steal. It will be epic, unforgettable, and the best sprang break EVER! The stoke is reeeeal. Questions? Feel free to reach out to Nicola at ngerbino@scu.edu, Brewster at gknapp@scu.edu, or Nick Rogers at nrogers@scu.edu or stop by our table outside of Benson from 10am-2pm on Tuesdays and Wednesdays. We can’t wait to get wild with ya! Join Kevin, Zach, and Nikki at the Channel Islands National Park!! We will be exploring the caverns, beaches, and canyons by land and sea, while snorkeling, kayaking, and hiking. After we’ve had our fill of the Channel Islands (3 nights), we’ll change channels to Joshua Tree National Park where we’ll track down lizards and roadrunners amid the gorgeous desert landscape with unique trees. It's the adventure of a lifetime! This is a Beginner Level trip, but experience with kayaking is strongly recommended! Prices are $460 for non-drivers and $194 for drivers (we try to take into account the wear and tear on cars during our trips so the driver ticket is less). A trip like this run by REI Adventures or another outdoor guiding company would be upwards of $1999 for even less time and less fun with your lovely peers. Calling all aspiring canyoneers! Need Spring Break plans? Join Into the Wild leaders Bryn and Sean on a beginner desert explorin’ adventure. 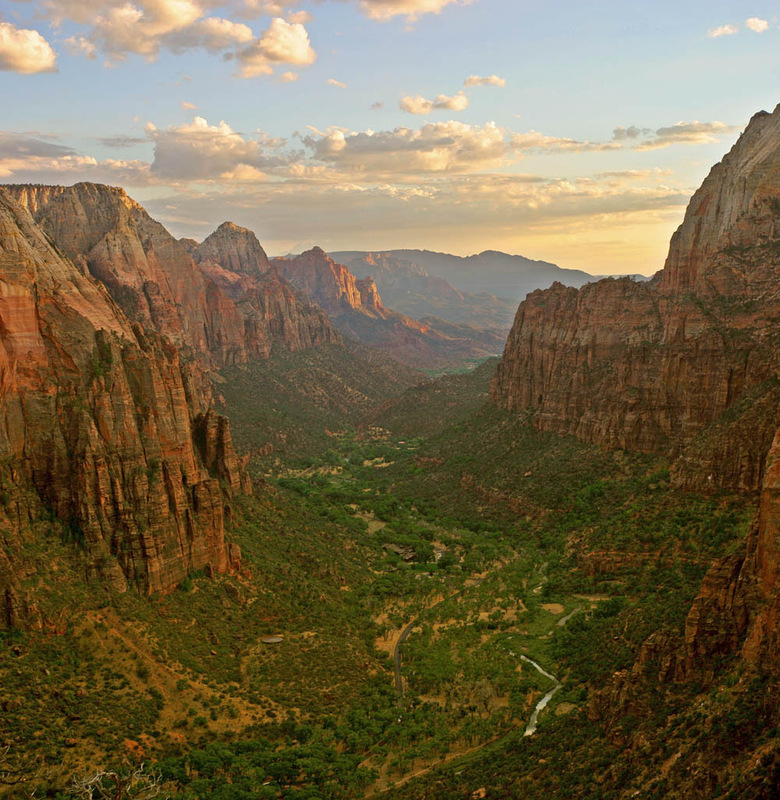 We’ll be getting up close and personal with the breathtaking red rocks of Zion National Park, wading through ankle deep water in Escalante, and experiencing crazy desert sunsets. We’ll also have a quick one-night stop in Death Valley National Park along the way. Holy Buckets! That’s three national parks in a week. That sounds like fun fact material right there. Prices are $288 for non-drivers and $123 for drivers. You’ll receive a ride to Utah, meals, new friends, a photo opportunity with Wile E. Coyote, a visit to Area 51, lodging (hint: it’s just tents! ), and some unforgettable memories! Compared to REI’s Utah National Parks camping trip for $3,400 this is a steal!! All levels are welcome! We’re stoked to have you!